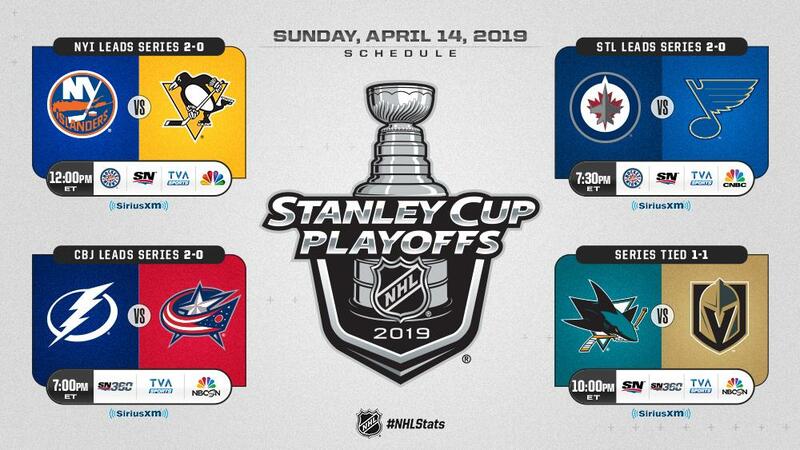 Today is Sunday, April 14th, 2019, and these are your news and noted from yesterday. All of the game recaps are written by TXHT’s esteemed staff. There were four contests in action yesterday. The Washington Capitals would defeat the Carolina Hurricanes in overtime, 4-3, thanks to the game-winner from Capitals defenceman Brooks Orpik. The Capitals will look to a commanding 3-0 lead tomorrow night when Game 3 takes place in Raleigh. Michael Lindenbaum has your full recap of the contest between the Hurricanes and the Capitals at the following page. The Nashville Predators would defeat the Dallas Stars with the 2-1 win in overtime. Craig Smith would net the game winner and Predators G Pekka Rinne would have 21 saves in the contest. Nashville will look to take the 2-1 series lead when Game 3 takes place tomorrow night in Dallas. 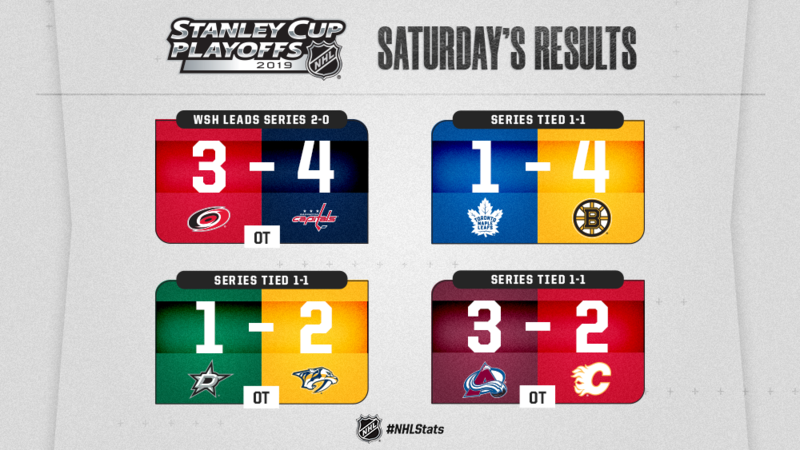 Dickson Kendrick has your full recap of the contest between the Stars and the Predators at the following page. This would be a very physical contest between the Boston Bruins and the Toronto Maple Leafs with the Bruins getting the 4-1 win, and tying the series 1-1. This game would not come without controversy as Toronto’s Nazem Kadri delivered a cross-check to the head of Boston’s Jake DeBrusk, which not only ejected him from the game but also earned him an in-person from the NHL’s Department of Player Safety. TXHT should have more on this as soon as there is a decision reached from the NHL’s Department of Player Safety. With the series now tied 1-1, both teams will try to take the series lead when Game 3 of the series takes place tomorrow night. Steve Gardiner has your full recap of the contest between the Maple Leafs and the Bruins at the following page. The Colorado Avalanche would defeat the Calgary Flames with the 3-2 win in overtime. Colorado’s Nathan MacKinnon would net the game winner to tie this series at 1. Both teams will look to take the 2-1 series lead with Game 3 shifting to Colorado. Game 3 takes place tomorrow night. Scott Fairchild has your full recap of the contest between the Colorado Avalanche and the Calgary Flames at the following page.